After over 155 hours of drawing and painting, countless hours of research, planning and conceptual work and an awful lot of scanning and photoshopping I'm hugely pleased to say that my Major Acarna is complete. 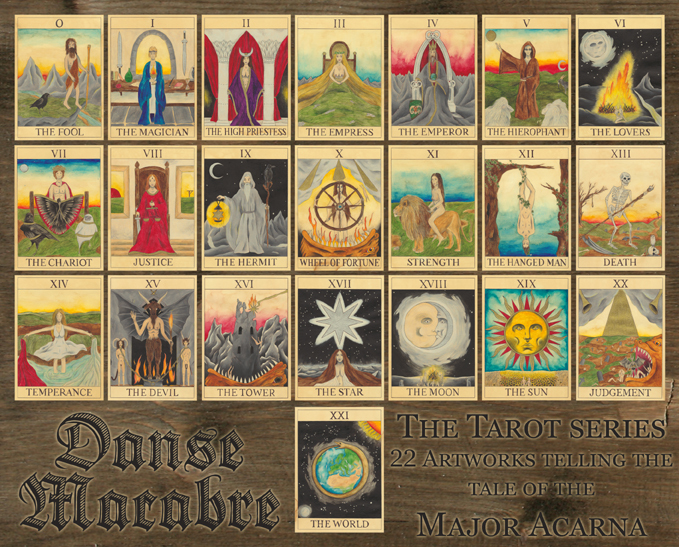 The series has been a mammoth undertaking, but after months of hard work my Tarot Series is finally complete. I'm so pleased I chose to take this epic journey and create my largest artwork series to date.